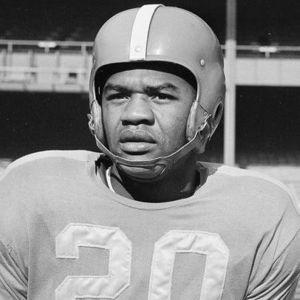 George Taliaferro was the first African-American player to be drafted by an NFL team. The Chicago Bears drafted the All-American halfback out of Indiana University in 1949. Though he was fan of the Bears, he had already signed with the Los Angeles Dons of the All-America Football Conference. After the league folded in 1950, he joined the New York Yanks of the NFL. For full obituary and coverage from Legacy.com, click here. Add your thoughts, prayers or a condolence to George's guestbook.